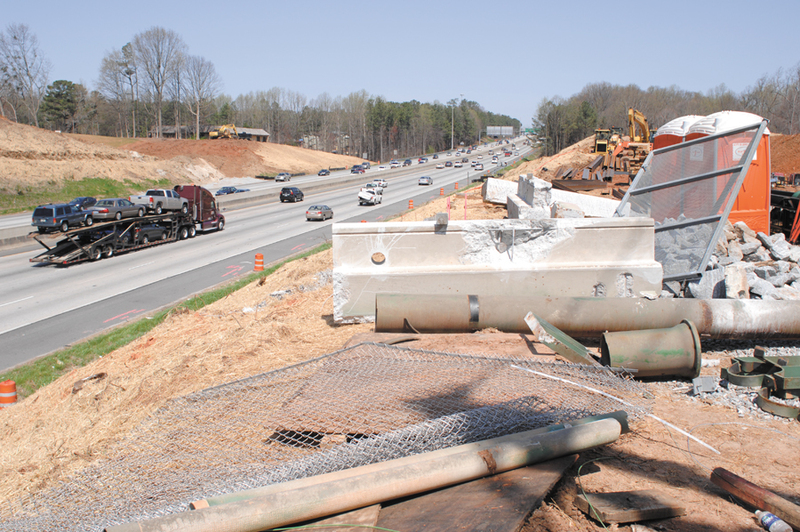 In about 18 months, drivers will be able to get on and off Ga. 400 between exits 4 and 5. Georgia Department of Transportation crews are working on the half-diamond interchange at Hammond Drive and Ga. 400. The $18.2 million project began in February 2009 and should be completed by August 31, 2011, according to transportation department spokesman Mark McKinnon. 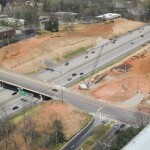 The half-diamond interchange, named for how it looks from above as it connects the two roads, will provide a new exit off of Ga. 400 in hopes of reducing traffic congestion. The project, which has been in the works for 15 years, will build entrance and exit ramps from Hammond Drive to Ga. 400 and widen the bridge over the highway on Hammond Drive from four lanes to nine lanes. McKinnon said clearing for the interchange project was complete. Utility relocation will continue so crews can build retaining walls and begin a portion of the new bridge on the north side of Hammond Drive. Workers soon will begin setting the new bridge supports and will have to remove a north portion of the existing bridge. To do this, northbound and southbound traffic lanes must be shifted to the right to accommodate the construction. Northbound traffic lanes will temporary close the weekend of April 9 through 11, said McKinnon, and residents can expect heavy delays. 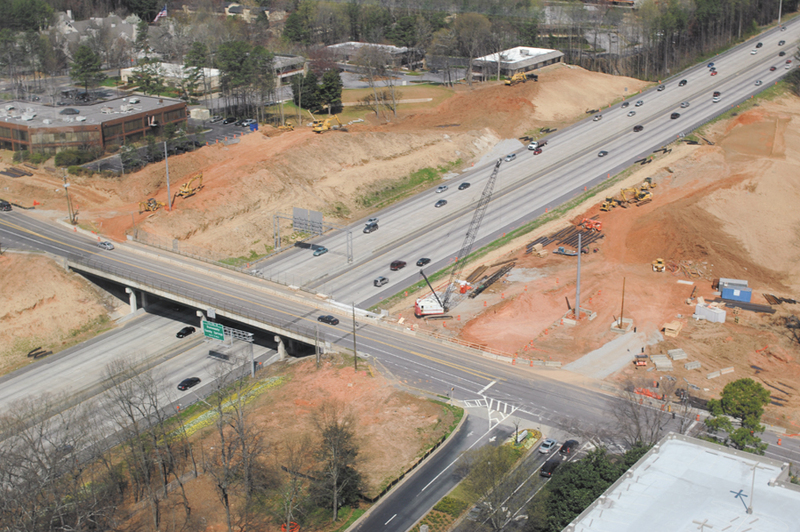 If weather permits, McKinnon said southbound lanes will be closed April 16 through 18. The state is funding the project. The Perimeter Community Improvement District (PCID) and the city of Sandy Springs also have contributed money, according to information published in February on the city of Sandy Springs’ Web site. 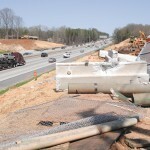 The community improvement district contributed $5.5 million for the entrance ramps onto Ga. 400. It raised the money by imposing additional property taxes on Perimeter-area commercial land owners. 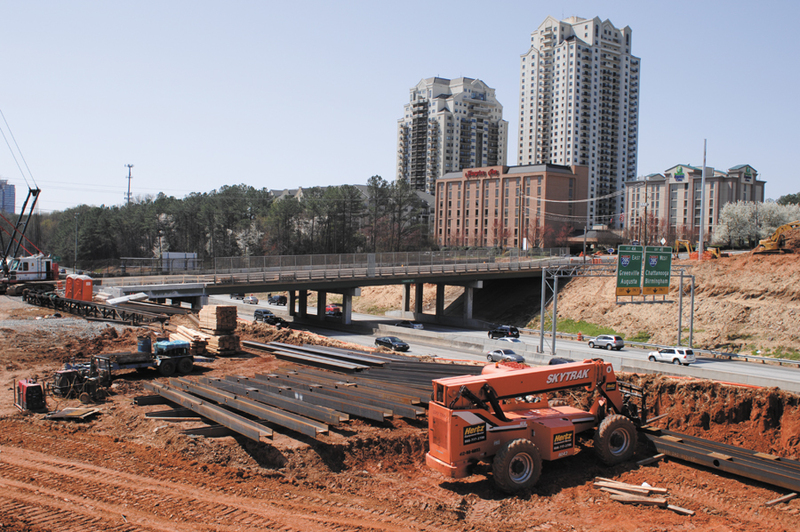 The city of Sandy Springs saved the community improvement district about $500,000 by financing the district’s contribution through the city’s development authority, the city said on its Web site.